These sugar cookies are decorated with henna inspired designs, perfect for a festive celebrations like weddings and the Islamic holiday, Eid. It’s holiday cookie time in the month of July! 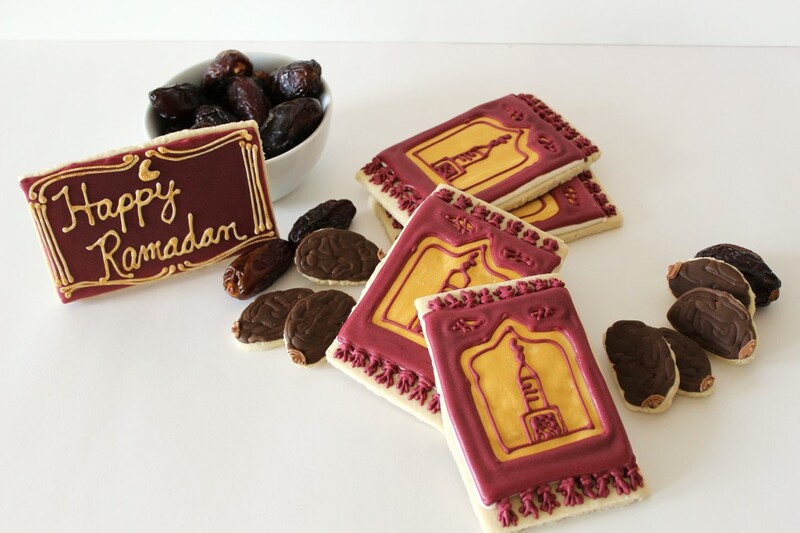 In celebration of Ramadan, the month of fasting, this set of sugar cookies is decorated to look like dried dates and prayer rugs – two items that play an important part of Ramadan traditions.